This annual event, which brings industry professionals together from across North and Central America, will take place from 16 to 18 November at the Centro Citibanamex of Mexico City, and will feature 190 leading manufacturers and suppliers exhibiting from both international and regional companies. At the event, screen and digital print equipment manufacturer SPGPrints will be presenting the Pike and Javelin digital textile printers. The former won the European Digital Press (EDP) Award for the Best Industrial Textile Solution in 2016 and the latter picked up the 2017 EDP Award for Best Textile Solution. Both printers use SPGPrints’ Archer technology and Fujifilm Dimatix Samba print heads to fire variable drops of ink (2-10pL) from a distance of up to 4mm onto the substrate. SPGPrints said the Javelin, a digital production scanning printer, is aimed at companies taking the first step into digital printing, or supplementing an existing digital capability. It is designed for textile printers requiring up to 2 million linear metres per year, the company added. 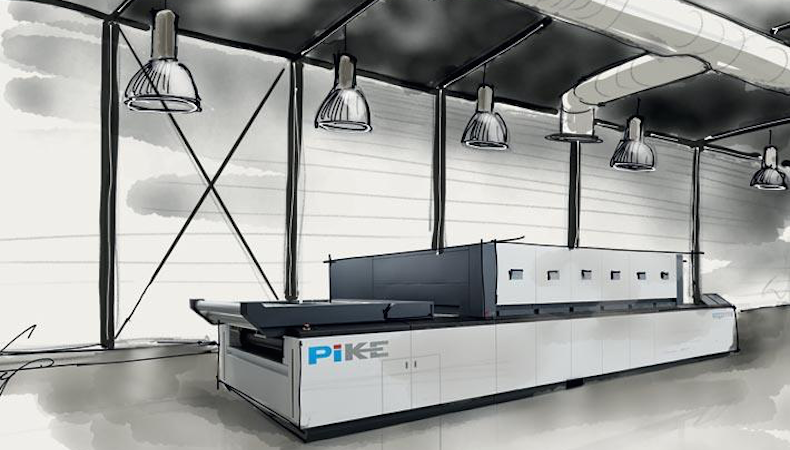 SPGPrints said for larger volumes, SPGPrints it offers the Pike, a single-pass, high-speed production printer. The company said it will additionally present inks for digital printers using Kyocera printheads. SPGPrints touted its rotary screen offerings: the NovaScreen range, which offers "high quality, durable and reuseable" nickel screens in mesh sizes from 135 to 245; the NovaScreen 245 mesh, which offers the "highest possible resolution" in printing with sharp lines and geometrical designs; and the RandomScreen , a 125 mesh screen with the position of each hole slightly out of line. "The Mexican market is on the cusp of taking its first serious steps into high-volume digital textile production, and the Pike and Javelin printers offer the combination of speed, print quality, flexibility and cost-effectiveness that our customers, and others, have been waiting for," said Fernando Montes, managing director of SPGPrints Mexico. "[Presently], there is about a 60/40 split between polyester and cotton garments. Digital printing is able to create a more attractive look and feel without impacting price, which is also a major force in the market," added Montes. For more information on FESPA Mexico 2017 and to pre-register visits: www.fespamexico.com. For FREE entry, use code MEXH718 when registering.